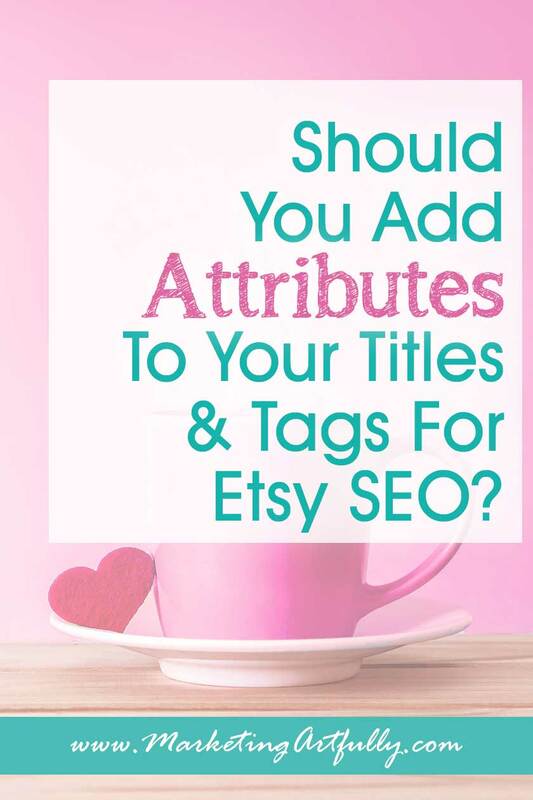 Do You Need To Add Attributes and Categories To Your Titles and Tags For Etsy SEO? 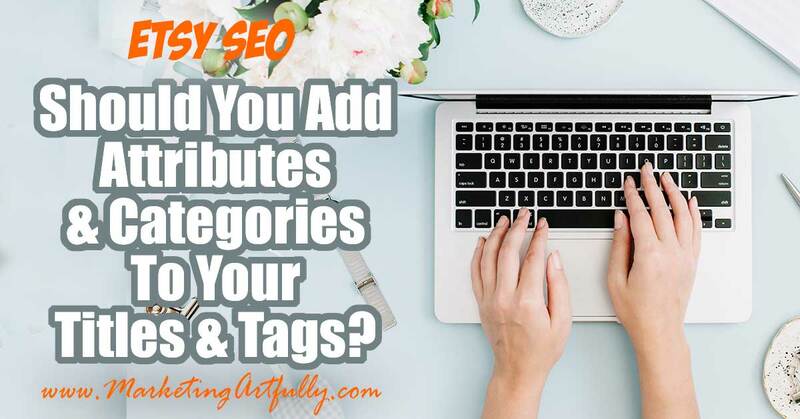 You are here: Home / Etsy Marketing / Do You Need To Add Attributes and Categories To Your Titles and Tags For Etsy SEO? 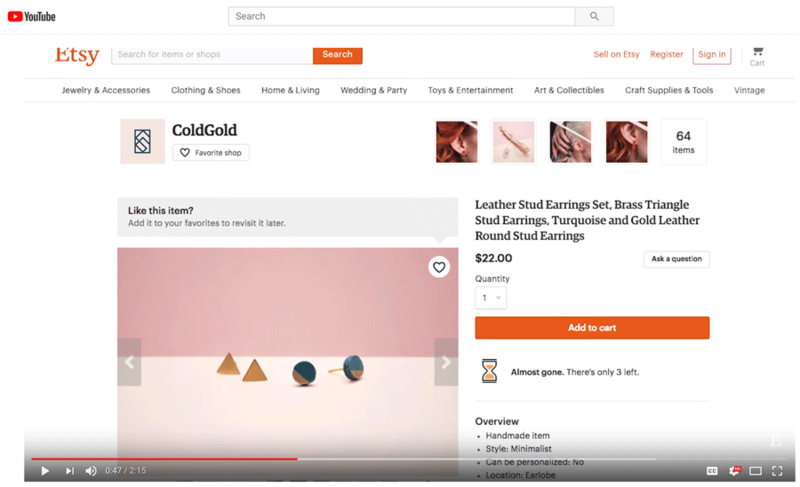 Etsy has been putting out a lot of information about SEO recently and it has made some sellers question what they should be doing to be found in search. Today let’s just look at a very thin slice of this and see how attributes and tags affect your Etsy search rankings. One thing that makes everything so hard is how everyone analyses what has been said and throws in their own two cents (I will be doing that too since this is my blog!) But never fear, what I will start with is information right from Etsy. As you may or may not know Etsy has a blog where other people submit articles. Some of these directly contradict the “Official” Etsy party line so I will include ONLY Etsy sources AND include dates of what was said! Fill Out All The Spaces Etsy Gives You! This is the technical part of loading a listing. Fill out all the items they have available (more about this later). Let’s start with categories because they are pretty innocuous and not as fraught with problems! So this is what shows up if you only have the listing with no other tags…. So what Etsy is saying is that I don’t have to put Home & Living, Home Decor or Baskets & Bowls in my title or tags in order to rank in Etsy search because they automatically add them. Okay, now let’s look at attributes which seem to be WAY less stable than the category tags are! In your listing, depending on the category you choose you will get a series of attributes you can pick to describe your listing. As you can see, these do NOT add extra words to your tags, they simply make it possible to show up when buyers use the attributes to filter Etsy searches. Now here comes the kerfuffly part! The problem with this is that actual searchs don’t bear this out! When you do a search for bucket and add the red attribute only, you see it adds red to the top search bar but it kicks the “red” to the attribute tag underneath with the X box beside it. There are 4,054 Results results for bucket + red attribute search. Now let’s do a straight search for red bucket, no attributes…. There are 1,646 MORE results for plain red bucket search than there are for attribute red bucket search. This bears itself out over and over for things that they say will show up in search like vintage which Etsy says will be attributed by the decade you add your listing to…. You have to put vintage at the end or Etsy search automatically makes it an attribute. 234 extra listings for vintage not in the attributes. That bit up there where Etsy said don’t worry about putting these things into your tags because the attributes will pick it up, I would take with a grain of salt. If you are selling an actual vintage red bucket, I would put it in your title AND tags because then someone who is looking for a delightful red bucket to store their washi tape in like I do will be able to find it! Now let’s talk about the idea of not including “Handmade” or “Vintage” in your title as it relates to being found in Google. Or even putting them WAY down at the bottom of the page as just a tag. 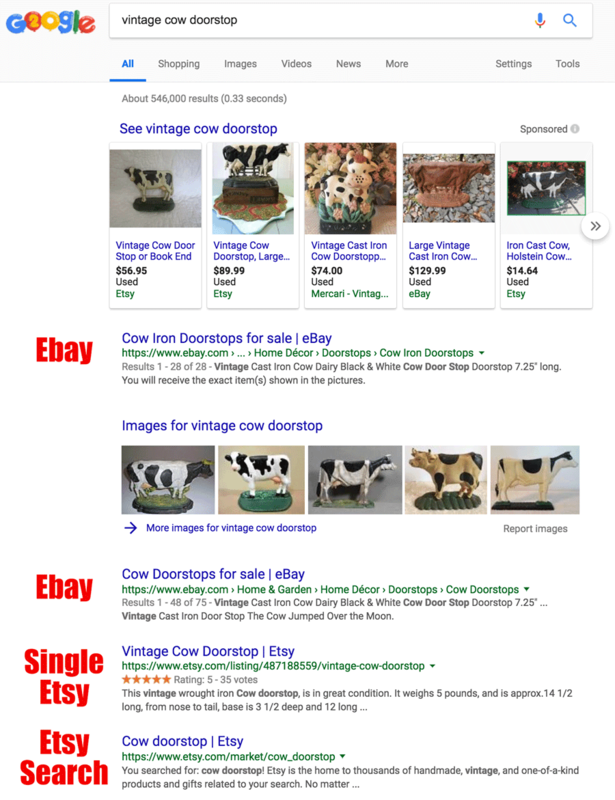 If that seller did not have “Vintage” in her title, she would not be able to rank in Google for her individual listing. Additional Resource :: Should You Try To Rank In Google SEO For Your Etsy Store or Products? 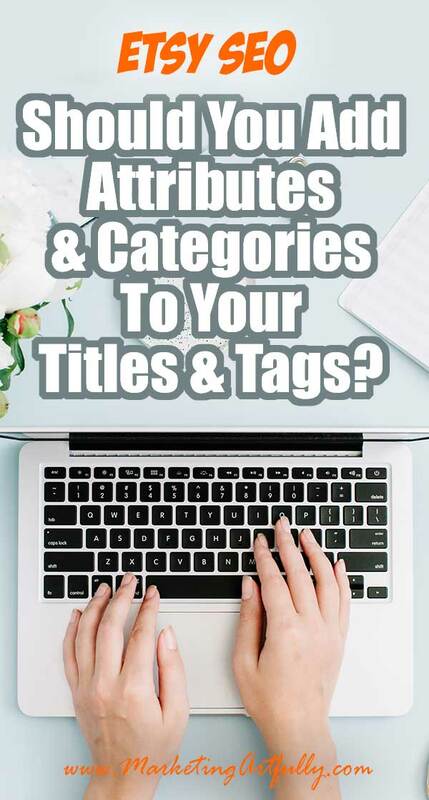 I am not going to go down the rabbit hole of a mess that is info about about how write your titles (short – just a few words, medium – just a few phrases, long – use all the space they give us) but there is one thing that doesn’t make sense. In a previous update Etsy said that repeating your keyword over and over in your title would not give the same benefit as it had in the past. Yet just this month there is an Etsy success video where the woman gives an example of a repetitive keyword as a good way to write titles. In this title stud is repeated 3 times, earrings 3 times and leather 2 times. Functionally there are only 10 keywords in this title, excluding “and”… leather stud earrings set brass triangle turquoise gold round, all the rest are repeats. Also she said you don’t need to use all 140 characters, targeting 2 or 3 specific keyword search terms. She says “short and readable titles are good for conversions” but doesn’t cite any source for this being the case. I say, you should test this out for your store and how you want to run your business! I use all the space they give me in both the title and the tags to include as many relevant keywords for the product as I can. You should not blindly listen to this gal and use three repetitive phrases rather than having a mix of keywords and phrases that might give you a chance to rank for different search terms. I have a feeling that Etsy’s goal is to have attributes and categories work flawlessly in the future and to return the best search results possible. And that is great! That said, right now doing a basic search you can easily see that attributes and tags do not always equate to being found in search. My suggestion is that you do these kinds of searches for yourself in your own niche to see if there is any funny business going on and then plan your Etsy SEO strategy accordingly! Join my Etsy Facebook Group! Previous Post: « Should You Offer Free Etsy Shipping?